The story by now is well known: genius songwriter has a panic attack and stops touring with his acclaimed band, then retreats to the studio and writes and records one of the greatest albums of all time. 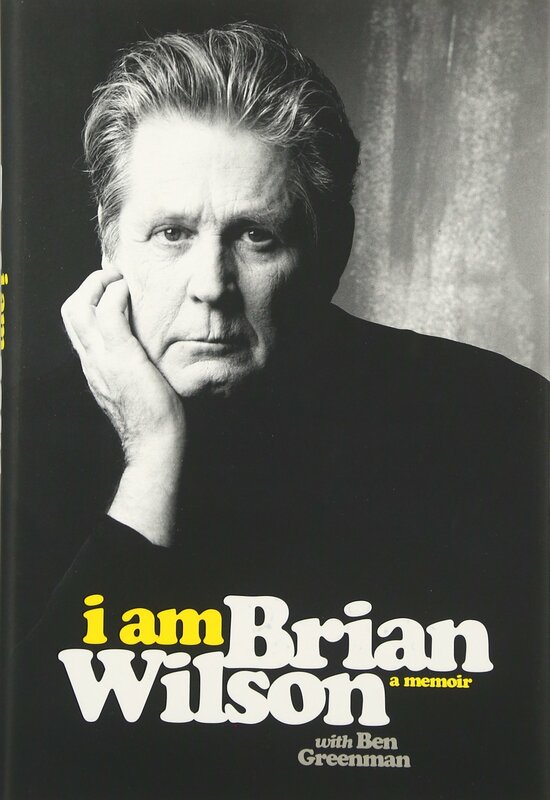 That, in a nutshell, is the story of Brian Wilson and the Beach Boys album Pet Sounds, an album that Wilson is currently revisiting on tour. With a songbook that includes the likes of “Good Vibrations”, “California Girls”, “God Only Knows”, “I Get Around”, “Fun, Fun, Fun”, “Surfin’ Safari”, and “Help Me, Rhonda”, there can be no dispute that Brian Wilson is a musical genius, and many believe that Pet Sounds was his crowning achievement. 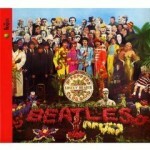 For example, Rolling Stone Magazine ranks it as the second best album of all time, behind only The Beatles’ Sgt. Pepper’s Lonely Hearts Club Band, which itself drew inspiration from Pet Sounds. The rest of the story is also by now well known: genius songwriter tries to follow up Pet Sounds with an ambitious album called Smile, but can’t because of deteriorating mental health, an issue that plagues him for the rest of his life. 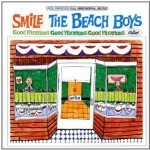 Happily, Wilson did revisit Smile with a new recording in 2004 and the release of the original sessions in 2011. Even more happily, he is still performing his songs in concert. This interview was done for a preview article for noozhawk.com for the Brian Wilson concert at the Santa Barbara Bowl on 5/28/17. It was done by phone on 5/12/17. Jeff Moehlis: Hi, Brian. This is Jeff from Santa Barbara, California. How are you? Brian Wilson: I’m fine. How are you? JM: I’m good! This interview is for your upcoming concert in Santa Barbara, where you’ll be performing Pet Sounds. When you wrote those songs, what were you going for? What were you hoping to achieve for that album? BW: I wanted to achieve a spiritual feeling in the harmonies. It’s a little more of a spiritual album. JM: Were you taking a long view that those songs might still be listened to 50 years later, as they are now? BW: Yeah. They still sound as good as they did then. JM: Absolutely! A very broad question – what, in your opinion, makes a song a good song? BW: Well, I think “God Only Knows” is [a good song], because my brother Carl did a great vocal on it. 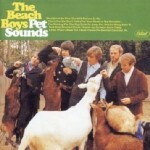 JM: Tony Asher helped out with the lyrics for Pet Sounds. How was it different working with him versus Van Dyke Parks, who you worked with for the Smile album? BW: Well, Tony was more into intimate love lyrics. Van Dyke’s lyrics were more poetic. JM: Is it still fun for you to be out there performing these songs? BW: Yeah, it’s quite an event to do the Pet Sounds album. People love it. They love it wherever we go. JM: There are a lot of fans of that album, including Paul McCartney who has spoken very highly of it. There’s the story that there was a friendly competition between The Beatles and what you were doing. Is that how you saw it at the time? BW: When I heard Rubber Soul, I was so blown away that I went to my piano and started writing melodies. Then I called Tony Asher, and he came over and we wrote “God Only Knows”. JM: Of course, the Sgt. Pepper album is about to turn 50 years old, and there’s a big box set coming out. When you listen to that album 50 years later, are you still blown away by what The Beatles were doing? BW: Yeah, I love Sgt. Pepper. That was a great album. JM: Al Jardine will be part of the show in Santa Barbara. Do you remember when you first met Al? BW: No, I don’t. I don’t remember when I first met him. I remember producing him on a song called “Help Me Rhonda”. JM: Was it clear from the start that he was a great singer and a great harmonizer? BW: Yeah – the answer is yes. JM: Blondie Chaplin is also going to be part of the band at the upcoming concert. Do you remember when you first met him, and what your impressions were? BW: I first met him in Holland in 1972. He was there, and he sang on the song called “Sail On, Sailor”. JM: Your memoirs came out recently, and it seems they have been very well-received. What did you learn about yourself from working on your memoirs? BW: Well, I realized that I have a lot of knowledge about music, so I was very proud of myself. 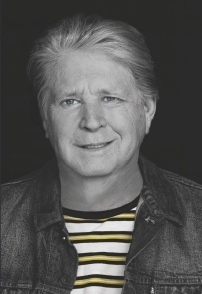 JM: When you reflect back on the Beach Boys story and the Brian Wilson story, to borrow a phrase from one of your songs – do you have a sense of who the heroes are in the story, and who the villains are in the story? JM: What do you hope that the legacy of The Beach Boys will be? BW: Well, I think people will remember us mostly for our group harmonies, the way we harmonized together. I think they’ll remember my voice, and Mike Love’s voice, too. JM: Do you feel that the songs of The Beach Boys are at least partially responsible for California being viewed as a paradise? BW: Well, a lot of people came to California after they heard about the surf, the ocean and the surf songs like “Surfin’ U.S.A.”, “Surfin’ Safari”. People started coming to California. JM: The first major hit for The Beach Boys was “Surfin’ Safari”. Can you remember how that song came together? BW: Mike came over to my house, and he started thinking of some lyrics, and then I put a melody to it. And then, all of the sudden, I got inspiration for background vocals. Like that. JM: I’ve read that the arrangements often just come to you. Is that an accurate statement? BW: Well, yeah. It comes naturally to you. It takes a while, but it comes naturally to you. JM: You recently released the original recordings for Smile. Are you happy with how that came out, and how that ended up being released? BW: Yeah, I was very blown away, the way Van Dyke and I wrote the third movement all about Hawaii. Yeah, a really great album. JM: You’ve had such a long and distinguished career. Are there any high points that really stick out to you? Maybe particular songs that you’re most proud of? BW: Well, “Good Vibrations” stands out. The night we cut “Good Vibrations”, the guys told me, “Brian, this is going to be a Number One record.” They all loved it. They thought it was going to be a Number One record – and it went to Number One! JM: That’s such an amazing record, and still sounds great today. Was it difficult to imagine how you were going to do anything better than “Good Vibrations”? BW: No, I didn’t try to make anything better than “Good Vibrations”. That was the best record we ever made. JM: You’re often called a musical genius, which I would agree with. Can you name a few people who you consider to be musical geniuses? BW: Phil Spector, Chuck Berry, and Little Richard. JM: Unfortunately Chuck Berry just passed away, and I know that there were some legal issues with him over the song “Surfin’ U.S.A.” Did you have any other interactions with him over the years? BW: No, I only met him once, very briefly. I’ve never seen him since. JM: What advice would you give to an aspiring musician or an aspiring songwriter? BW: I would tell them not to take drugs. Not to take drugs. Write songs on the natch – no drugs. JM: Any final thoughts about the final concert? BW: I hope the people like our Beach Boys classics besides Pet Sounds. “California Girls”, “Good Vibrations”, “Wouldn’t It Be Nice”, “God Only Knows”, “Do It Again”. I hope they like those songs.